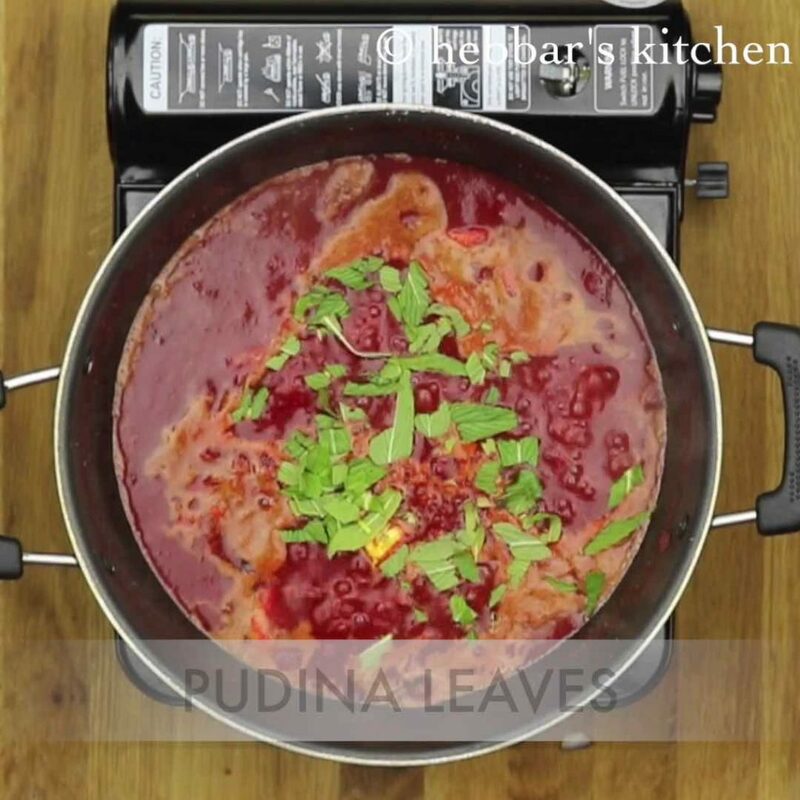 beetroot rasam recipe | instant beetroot rasam – no toor dal with step by step photo and video recipe. 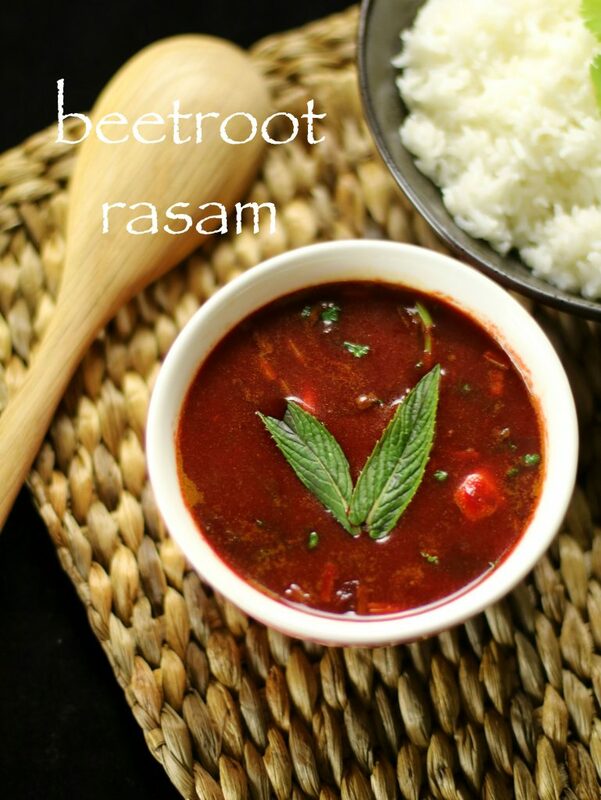 beetroot is most loved rasam by my husband. 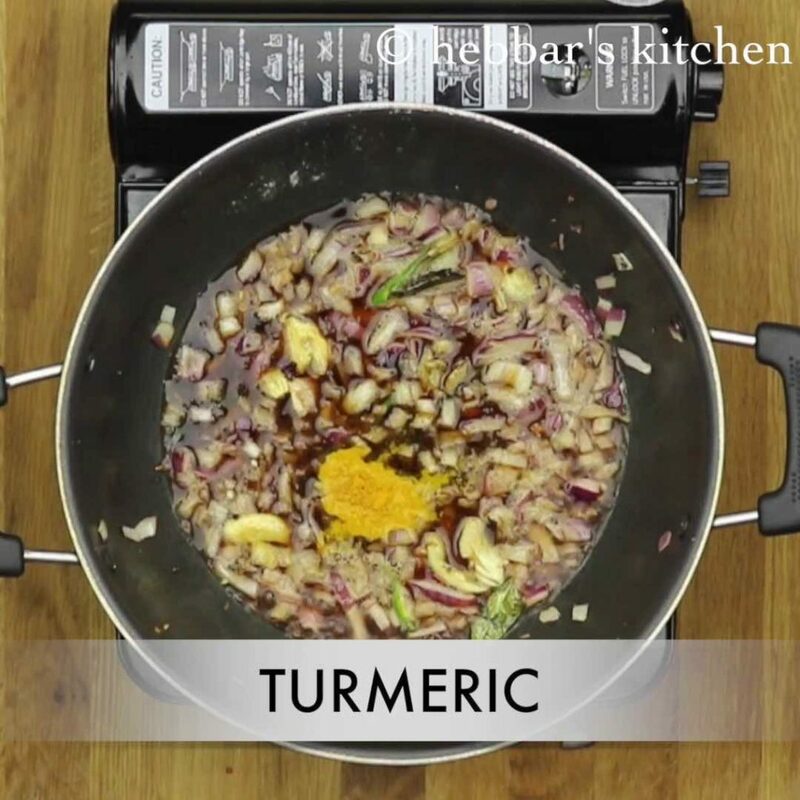 this is a instant recipe where we do not add any dal or rasam powder. 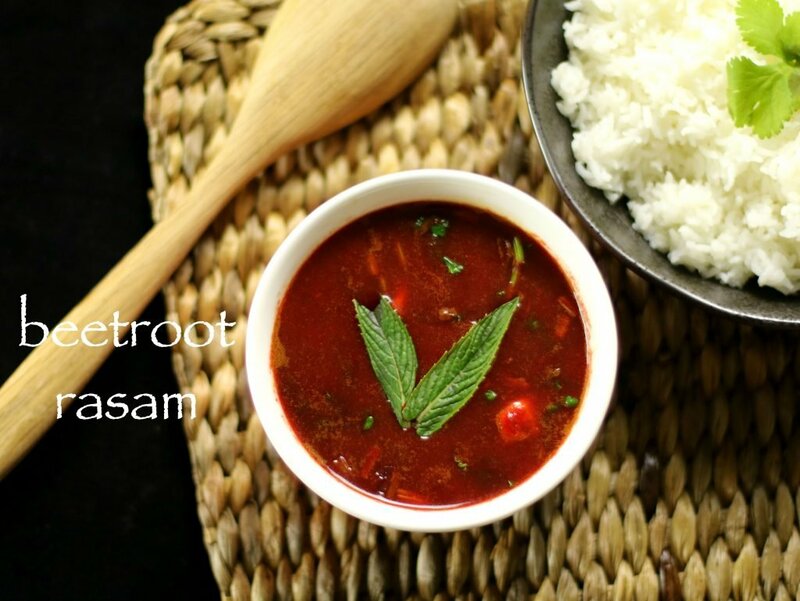 this rasam goes very well with plain steamed rice or can be drunk as a soup. generous amount of garlic seasoning will give a nice flavour to beetroot rasam. i am not a big fan of beetroot. however, i liked this rasam as the flavours of pudina (mint) and garlic makes it distinct from all other beetroot recipes. 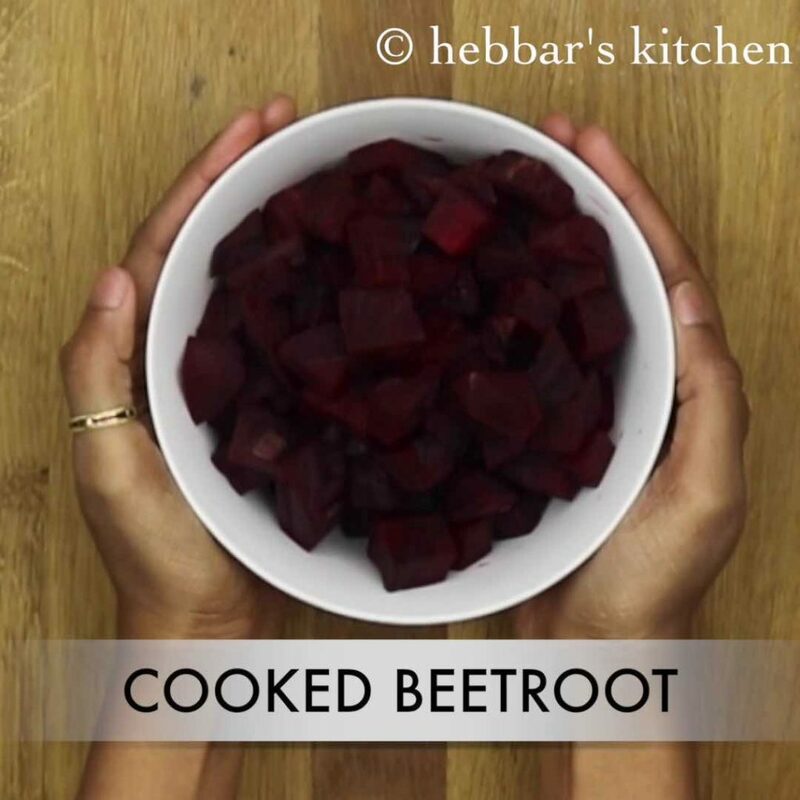 beetroots are usually used to prepare dry sabzi or beetroot saasmi in udupi-mangalore region. but today, i thought let me give a try to make a rasam out of beetroot. 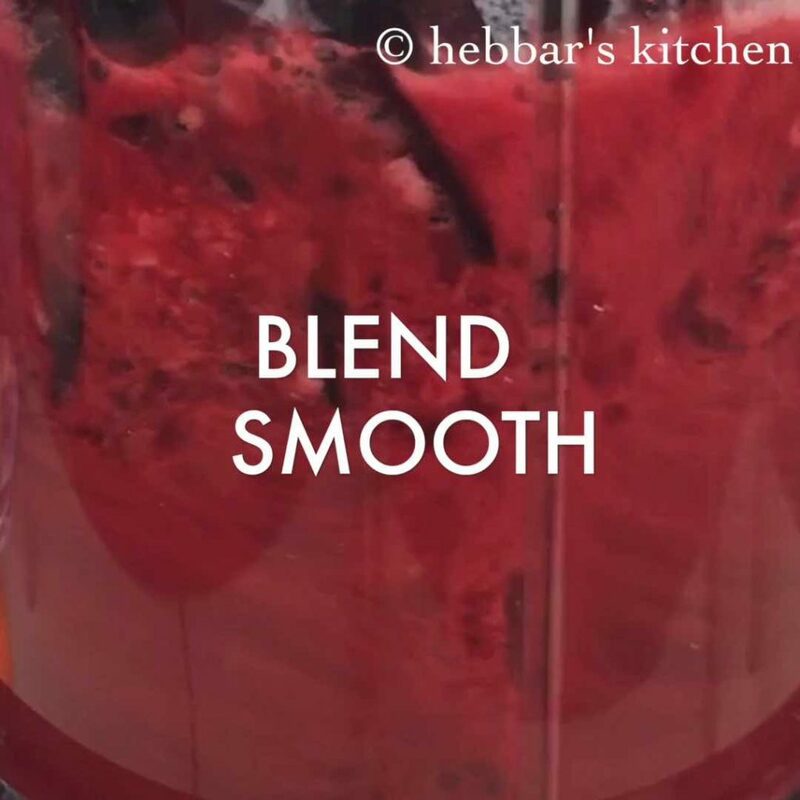 so have blended beetroot to smooth puree as i don’t like to eat chunks of beetroot. beetroot is as healthy as its bright red colour. beetroot helps in decreasing the risk of obesity, diabetes and heart disease. beetroots are rich in calcium, iron, fibre, vitamins and potassium. 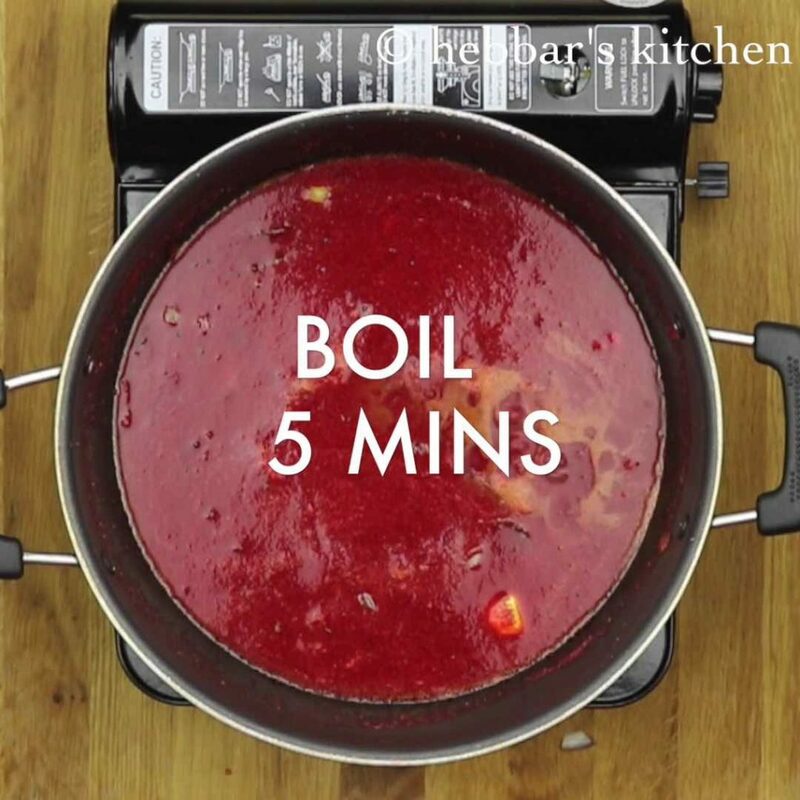 always select a fresh, stiff, firm, red smooth beetroot. here are the collection of rasam recipe: tomato rasam, kokam rasam, pepper-garlic rasam, tomato-onion rasam, kat saaru, huruli saaru. if you are looking more healthy recipes then check out soya cutlet, oats idli, dal palak, beans sambar, bhindi sambar, malabar spinach sambar. peal the skin of beetroot and roughly chop them. cook them for 10 minutes adding little water. allow to cool. 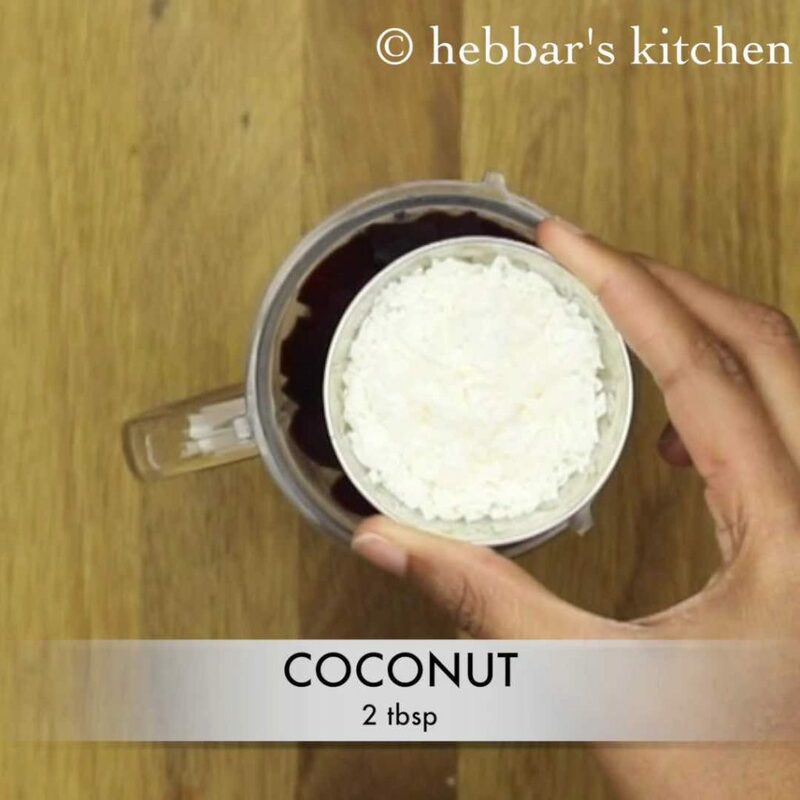 now blend to smooth puree adding 2 tbsp of coconut. add water only if required to make a smooth puree. i have not used any water while grinding as my beetroots were too juicy and cooked well. keep aside. 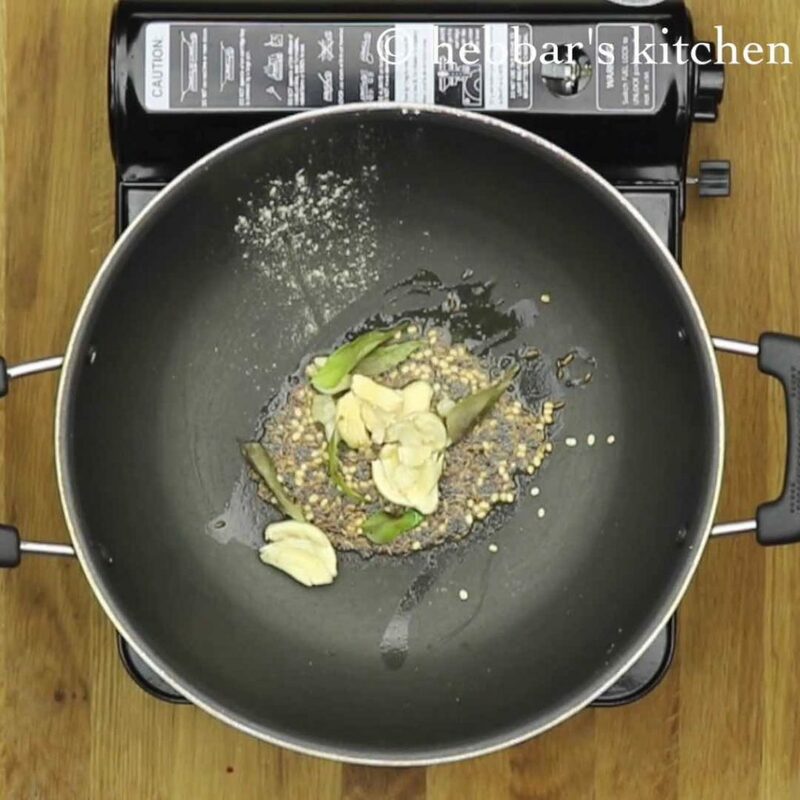 in a large kadai, heat a tsp of oil. add mustard seeds, jeera, urad dal and hing. allow them to splutter. now add crushed garlic cloves and curry leaves. saute till garlic turn light golden brown. add finely chopped onions and slit green chillis. fry them till they turn translucent. boil for atleast 5 minutes or till the raw smell of tamarind goes away. now add beetroot puree prepared previously. 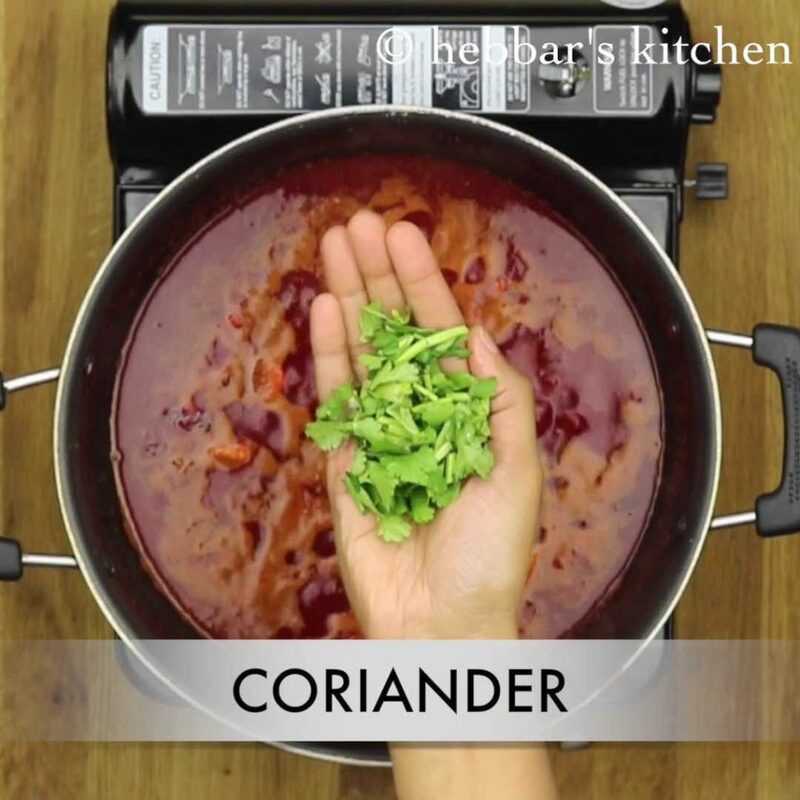 also add some water to adjust the consistency of rasam. and boil for another 5 minutes. now add some chilli powder and chopped pudina leaves. 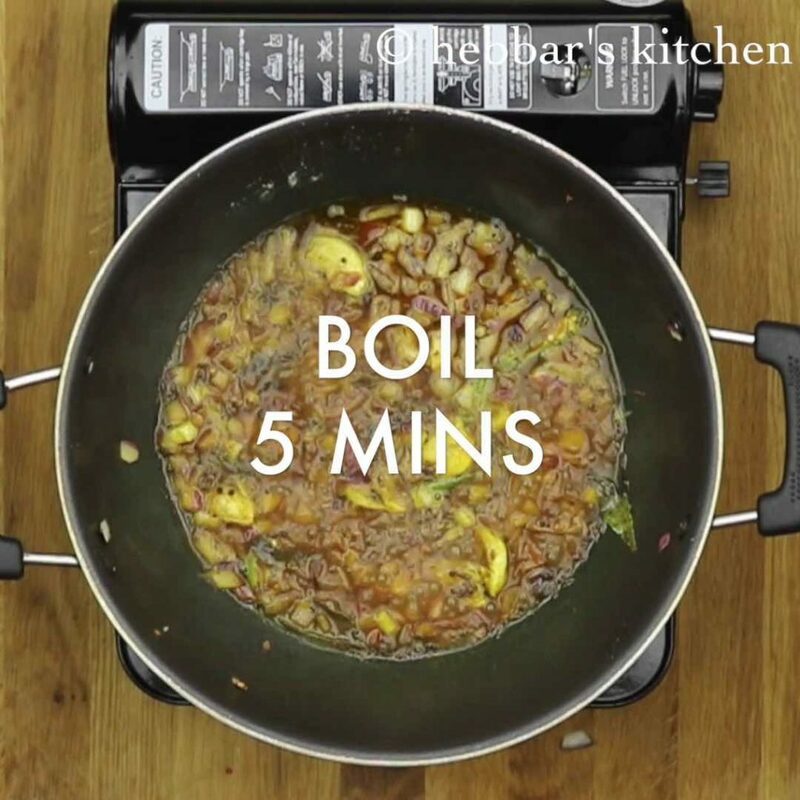 give a good stir and get to a boil. finally add some chopped coriander leaves and check the seasoning. 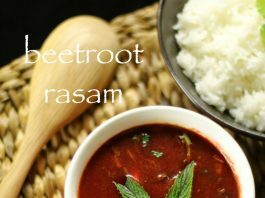 serve beetroot rasam with hot steamed rice. 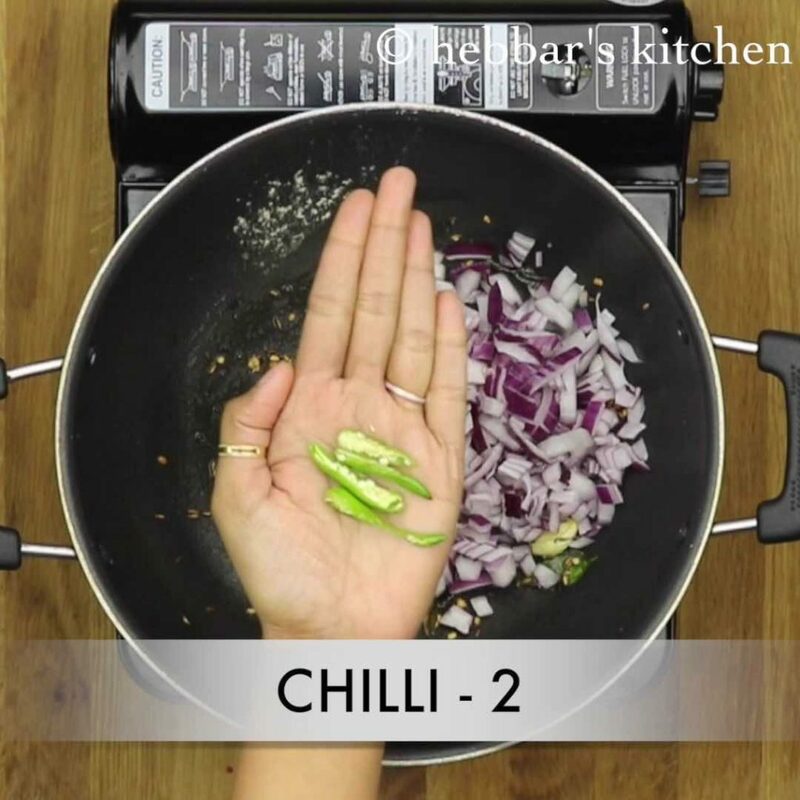 instead of chilli powder you can also add rasam powder for more flavour. if you like slight sweet rasam then add a small piece of jaggery. adding mint leaves enhances the flavour of rasam. adjust to spice level according to your taste. beetroot rasam taste great when it is watery.